In 2016, Rwanda ranked 80th word-wide in terms of networked readiness, with a very strong political and regulatory environment and good government usage of ICTs. The country is ranked first world-wide in terms of government ICT promotion. 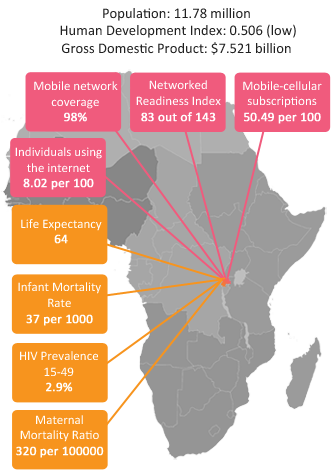 Rwanda also ranks highly (top in Africa) in terms of the social impact of ICTs. The eHealth Strategy was adopted in 2008. 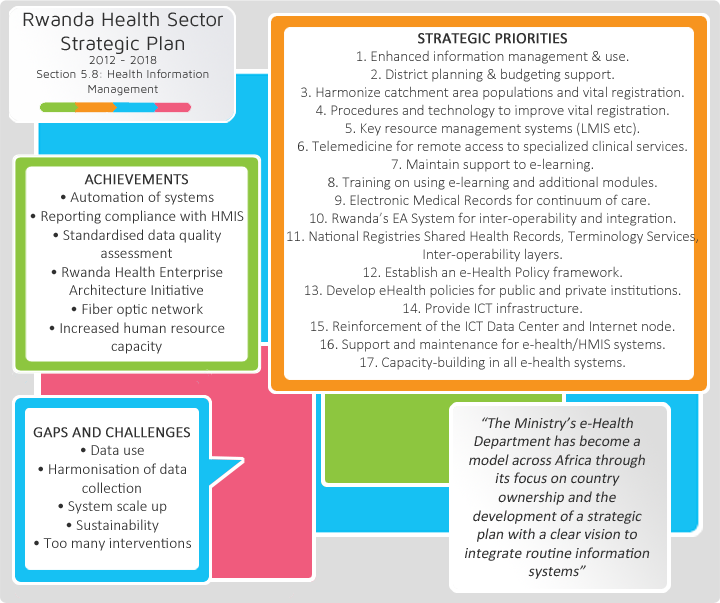 The subsequent Health Sector Strategic Plan from 2012 includes details on furthering eHealth in the country.